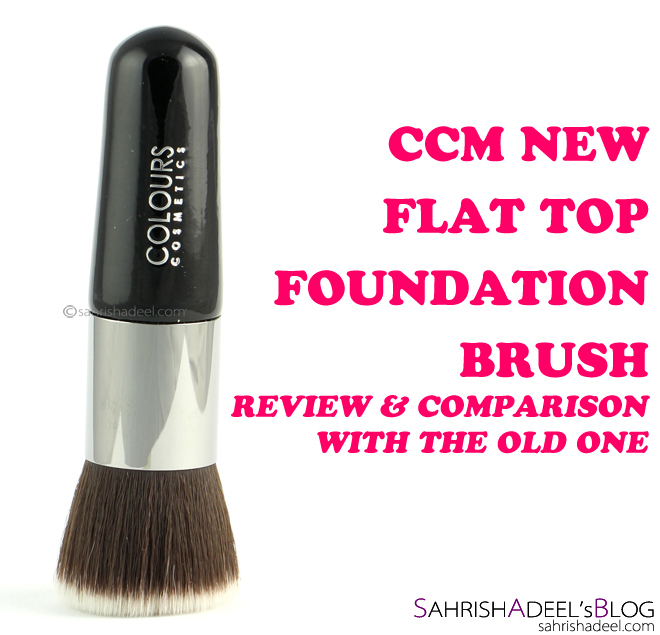 NEW Flat Top Foundation Brush by Colours Cosmetics Malaysia - Review, Comparison & Giveaway | Sahrish Adeel - Malaysia based Pakistani Beauty & Lifestyle Blogger! 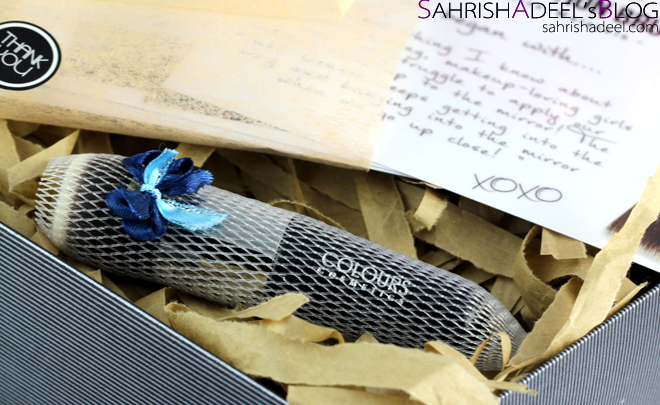 If you have been reading my blog for quite sometime, you would have been aware of Colours Cosmetics Malaysia creating a brush specially for Asian hands! If you didn't know about that yet, you will get a good idea of what I am talking about, in this post. 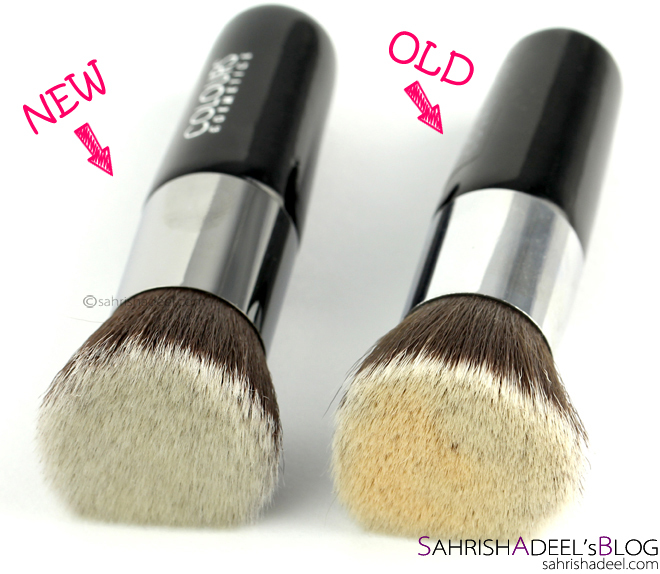 Colour Cosmetics contacted me a few weeks ago regarding an improved design of Short Handle Flat Top Foundation Brush [review here]. Being curious and excited I went for it as I was pretty impressed from the previous design except for the perfect short handle for smaller Asian hands. I thought a longer handle is gonna be here but they changed something else. Let's see how this one turned out to be. 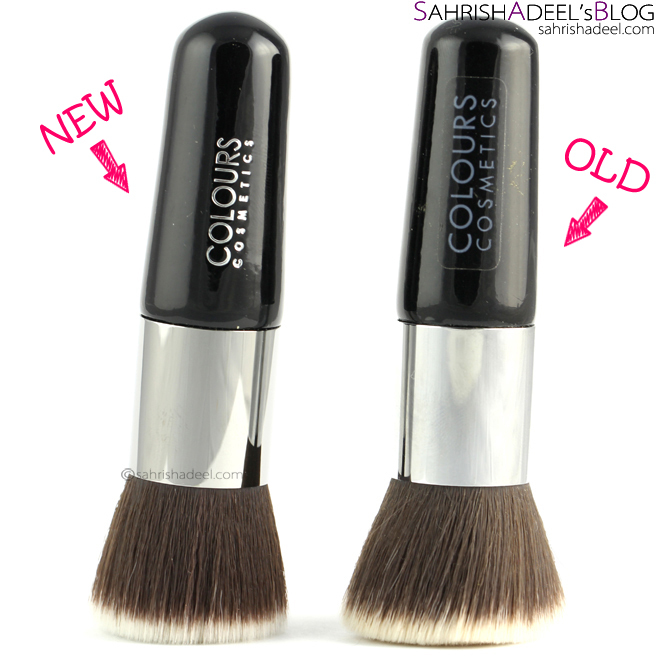 Perfect density and softness of bristles makes the application easy, quick and flawless without exfoliating the skin. Like previous one, I am loving the new version as well except for the fact that I have slight bigger hands and I really hope that CCM comes up with same brush in standard handle size. 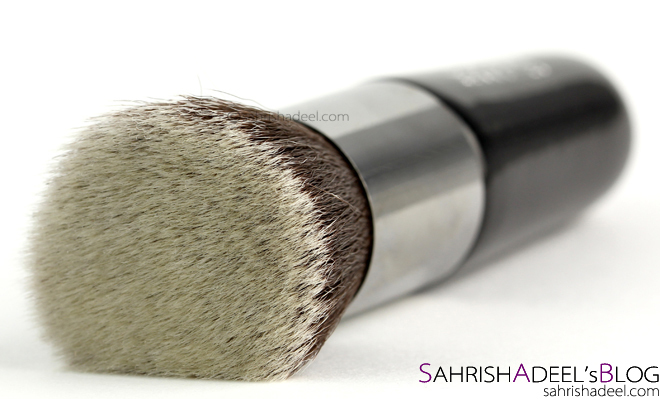 The brush indeed is a great alternate of F80 Kabuki Brush by Sigma Beauty but only in travel sized handle which is really practical when I carry it in my bag. It works equally good with power products and as well as with cream & liquid products so if you are like me and want to carry one single travel sized brush in your bag for foundation, powder & blush; you might find yourself reaching for this brush. I noticed a bristle or two shedding on first use but later on there was no shedding even while washing. The brush is easy to wash and dries in about 6-8 hour. Time may vary depending on your location and environment. I know you can see the difference in handle style but for me that did not make any difference. The logo is now embossed so I am hoping that it will stay for a long time. As for bristles, I feel like the new version has a bit softer bristles and less dense as I found them spreading onto the skin more than the old version. Colours Cosmetics is currently shipping to Malaysia only. 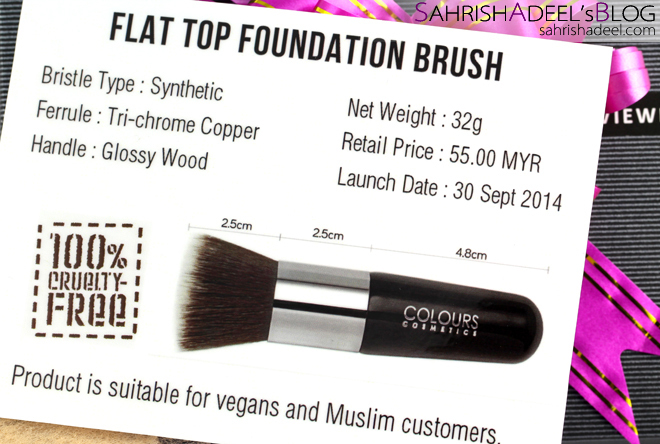 This brush comes with a price tag of RM 55 and you can buy this brush directly from their website here. 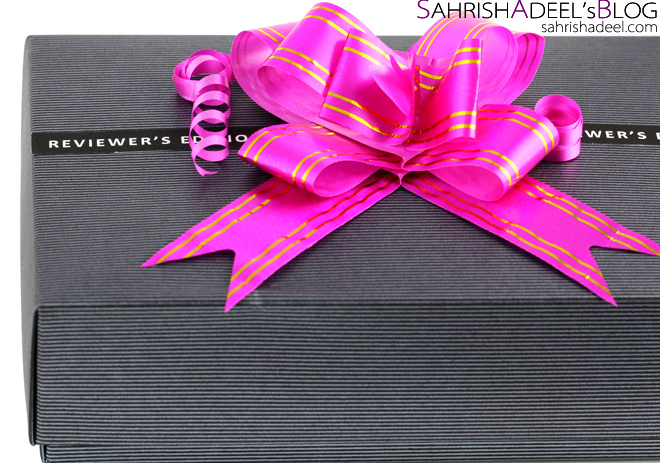 Also, join Colours Cosmetics Malaysia's Facebook page for any news, giveaways and promotions. Which is your favorite kabuki brush of all times? 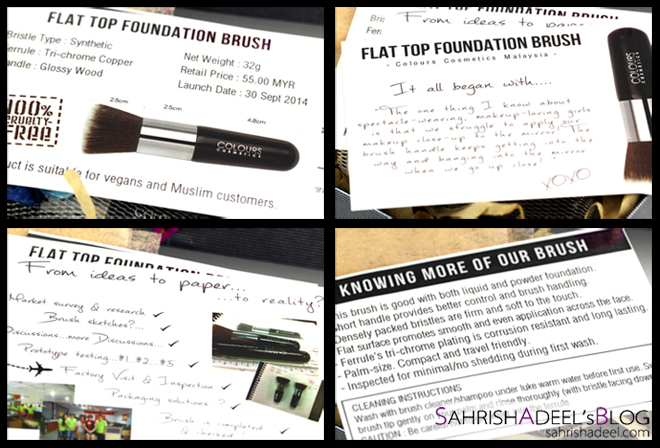 Colours Cosmetics Malaysia has been really generous to sponsor a giveaway for Flat Top Foundation Brush. This giveaway is open for Malaysia only. Simply do the tasks given in following Rafflecopter form to get a chance to win this brush. There will be one winner selected randomly at the end of the giveaway. Good luck! !